Three very different, heartwarming stories about man's best friend. ""Dollypogs"" by David Thorn, ""Brown Wolf"" by Jack London and ""His Dog"" by Albert Payson Terhune. 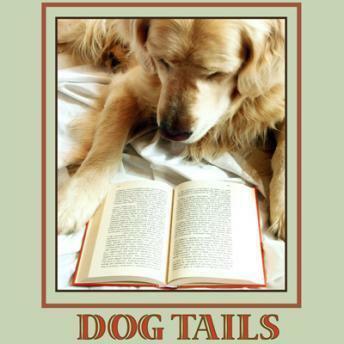 Dog lovers will love the variety of stories, each touching the heart in a different way. Dolly is sweet and endearing from coming in as a tiny puppy and becoming the first in the family to be followed by two others who form a loving family with their kind and understanding master. ""Brown Wolf"" brings us to faithfulness while offering real suspense. And ""His Dog"" brings us a dog who is so smart he saves his master from himself in a suspenseful story with many turns. Having spent his early childhood in the picturesque Channel Islands off the French coast, David Thorn went to school in England followed by Law School in London. Later, he joined a major American corporation first in London and was then transferred to the United States. Nominated for an "Audie" in the classics category in 2006 for Dicken's The Mystery of Edwin Drood (Blackstone Audio), he has recorded Novick's His Majesty's Dragon (and others), Stroud's Heroes of the Valley (Random House), Thomas Wolsey: His Life and Death (Alcazar Audioworks/Blackstone) among many other. One Audiofile Magazine reviewer referred to him as "a masterful narrator," while another wrote "Thorn's narration is precise and captivating". Presently, his life is dictated by the daily whims of one Mr. Benjamin - a certain young French Bulldog with a mind of his own. John Griffith ""Jack"" London (1876-1916) was an American novelist, journalist and social activist. Born and raised in the San Francisco Bay Area, London traveled extensively as both a hobo and sailor creating a enormous body of experience to draw on as a writer. London spent a great deal of time mining for gold in Alaska, to the detriment of his health, but inspiring the works that brought him the greatest fame. Albert Payson Terhune (1872 - 1942) was born in Newark, New Jersey, the son of two writers, his Father also a prominent minister. Terhune had great success in two endeavors, writing and dog breeding. Originally a journalist, Terhune turned his family's summer home into a successful Collie breeding Kennel and devoted himself to writing fiction, mostly dog-themed.